SIRVINTOS, LITHUANIA - August 3, 2014: Combine harvest ripe wheat barley and stork birds in agriculture farm field on August 3, 2014 in Sirvintos, Lithuania. Sliding right shot on Canon XA25. Dolly. 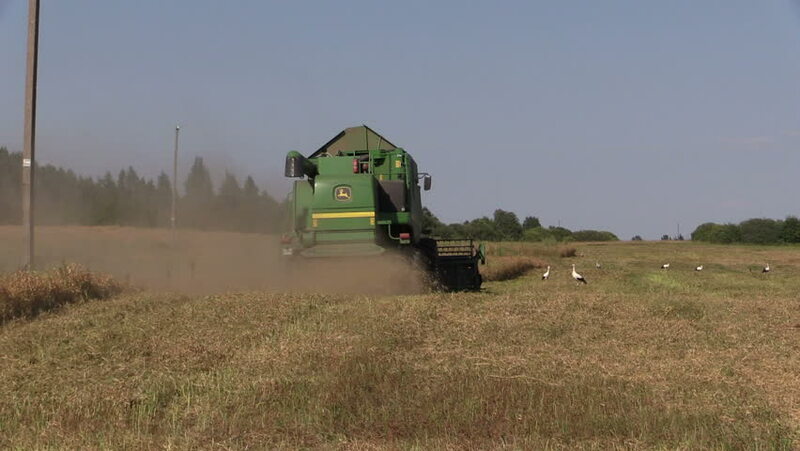 4k00:11BIRZAI, LITHUANIA - AUGUST 18, 2015: combine harvester machine work in farm wheat cereal field on August 18, 2015 in Birzai, Lithuania. 4K UHD video clip. 4k00:172016 August 21, Lithuania, Ukmerges region. Harvester machine in wheat field working. Combine harvester agriculture machine harvesting golden ripe wheat field.